I've been writing reviews in a particular style and format for almost 20 years now, and over 15 on this very web site. Splitting reviews up in this manner was my invention, back in the early days of rec.toys.misc. If you don't like it, feel free to blame me. I like this style (obviously) because it allows the reader to make decisions for themselves. If I merely ramble on for a few paragraphs, citing issues and highlights, and give you some sort of overall feel (maybe) at the end, you still don't really know if YOU will like it or not. You're an articulation junkie, and care more about the poseability than the sculpt - will you like it? You're a sculpt fiend, and couldn't possibly care about the articulation - how about you? By splitting up the review into specific and relatively consistent categories, you can pick and choose the things that matter to you. You're that previously mentioned sculpt fiend, and on a review I give a figure four stars for its sculpt and paint…but only two in articulation. My overall isn't nearly as good as yours would be, but you can actually figure that out for yourself from the review. I would think that would be fairly obvious to most readers (although I still get some comments that make me wonder), but slightly more mysterious is how the Overall score comes into play, and how things are weighted. Let's start by pointing out what should be painfully obvious, but which isn't based on some of the emails I get. The most common categories - Packaging, Sculpt, Paint, Articulation, Accessories, Fun Factor, and Value (with Outfit thrown in for sixth scale figures, as well as Sound and Light Features where applicable) - are NOT weighted evenly. That means if you try to take the scores for each category and divide them by 7, you're not going to get anything that makes any sense. Packaging does not count toward my Overall score equally with Sculpt. I'm betting it doesn't for you, either. Different categories are more or less important to different people, and simply adding them up, or adding them up and averaging them, produces a nonsense number that can not be used for comparisons or decisions. Now, here's the interesting part. The weights for each category vary by every review! How much any one category matters depends on many factors, including what my initial expectations were, the limitations of the design of the characters themselves, and even certain aspects of the license. How important the categories matter will vary for you, too. But there is a general guideline in my head when I'm doing a review, and I thought I'd share it so you could get a deeper understanding of how my Overall scores come about, and why they might be very different (or very similar) to yours. Let's start by discussing the stars in general. I use a four star grading system because the stars mirror the standard U.S. school grading system. Four stars is an A, three stars is a B, two stars is a C, and one star is a D. Getting a Bupkis is obviously a failing grade, unless I'm including it in a review for informational purposes only. 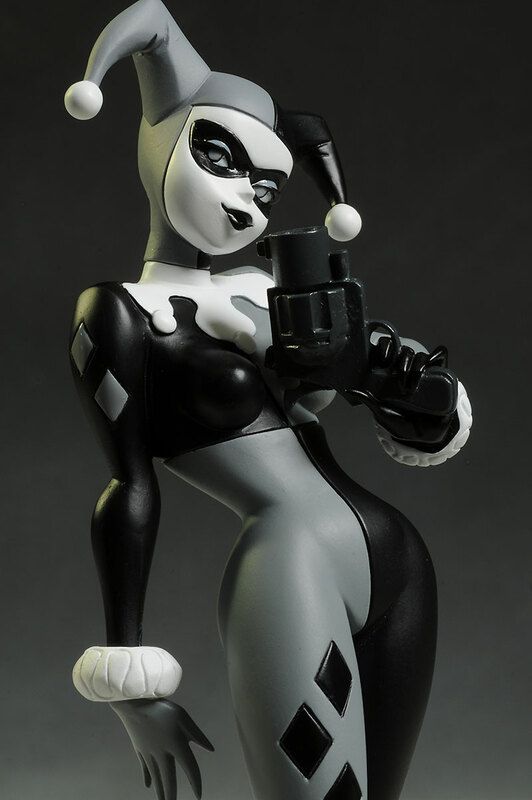 For example, I might include an Articulation category with a Sideshow Premium Format figure. It gets Bupkis because there is none, but there was no expectation on my part that there would be, so this doesn't effect the Overall. I only mention it (and I usually point this out in the review) for the reader's information, on the off chance they might have been expecting something different. This is not a 'key' category...ever. Key categories matter greatly to the Overall score. Any score a figure/bust/statue gets in a key category will have a very perceptible effect on the final score it receives. Packaging is NOT one of those categories. Packaging is what I call a 'secondary' category, and the only time it effects the overall is when it's very good, or very bad. If I grade a package with **1/2 or *** stars, the final Overall score won't reflect it at all. Think of it this way: a secondary category is weighted with a zero for an average score; as the score goes above average, it gets a positive weighting, improving the overall; as it goes below an average, it gets a negative weighting, hurting the overall score. That's how packaging works, and even when it does have a weight, that weight is relatively small when compared to even the other secondary categories. Packaging is easily the least critical of all of the standard categories for me. To truly effect the overall score, a package has to be outstanding. This is definitely a key category, and in conjunction with Paint, it makes up the most critical aspect of any action figure, statue or bust. Any score here will not just directly effect the overall, but have a significant weight. Get a bad score in sculpt, and kiss a great Overall score goodbye. It is possible to still get a good score, if the other key categories are strong enough. It's like Jack is right in the room with you! Ah, another key category. Repeat after me - bad paint can ruin a great sculpt, but great paint can make even a mediocre sculpt look amazing. These two are so tightly connected that at times it can be very difficult to separate them, but I always give it my best shot. Not only is paint a key category, but it (along with Sculpt) has the greatest weight of any category. Like sculpt, paint has an aspect of accuracy to the license and character, but also a straight forward aspect of quality. It can look just like the character on film, but be terribly sloppy, or it can be the best quality work out there, and look nothing like the character. Getting both aspects right is the key. The things I tend to look for in paint work is the accuracy to the original character first, then the other quality issues: is the plastic actually painted, or simply cast in that color; is the finish (matte or glossy) appropriate and effective; are the cuts between colors sharp and clean; are tampos and stickers straight and even; are there any stray marks from the painter not keeping track of the end of their brush; is there bleed and over spray from poorly fitting paint masks; if dry brushing and washing techniques are used, are they appropriate or over done; and are there a large or small percent of detail operations included. Key areas are skin tones, lips, eyes, eyebrows and teeth because your eye is automatically drawn to the face first, but hairlines and highlights are also critical. Certain colors are trickier than others when they are adjoining, like blue and red or black and white, and some colors, like silver, gold or yellow, are notorious for having issues with coverage and consistency. There's quite a bit to watch for in this category, and it's often the one that's trickiest to judge. It's also the most likely to have variation from figure to figure, and can be effected by last minute cost cutting moves by the manufacturer. A ton of color isn't necessary for a high scoring paint job! This is key category for action figures. For me, it weighs less than Sculpt and Paint (especially for licensed characters), but it's still weighted much heavier than secondary categories. While a great looking plastic statue is nice, it's even better when the designer allows for appropriate and well thought out articulation. More is not always the right direction in this category. Sure, if you're a joint junkie, 20 points is better than 10, and 30 is even better. But often more joints doesn't mean more poseable, as the joints can be limited in movement. 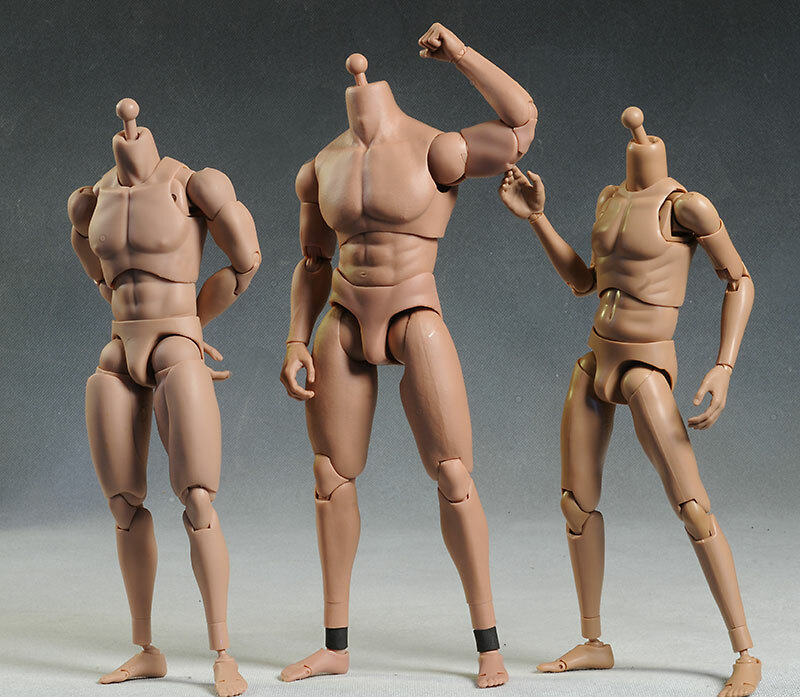 In fact, plenty of folks will tell you that too much articulation runs the sculpt and overall appearance of the figure, working against the general quality. For me, more joints will generally get you a better score in this particular category, but may end up hurting you in the overall. It's a fine line between too much and too little, and most companies haven't quite figured out how to walk it yet. I'm always looking for several key aspects to the articulation: how much range of movement do the joints have; how well designed are the joints so that they work in concert with the sculpt for the maximum posability AND maximum aesthetics; how tight are the joints and how likely are they to stay that way; how solid are the joints and pins, and is breakage an obvious problem; is it easy to pose the figure, or am I frustrated by simply getting it to stand; and how well do the joints actually mimic realistic human stances, which I tend to call 'natural flow'. This is an area where the market tends to cycle (other than sixth scale), where lots of articulation is common for awhile, and then we swing back to Nerd Hummels. 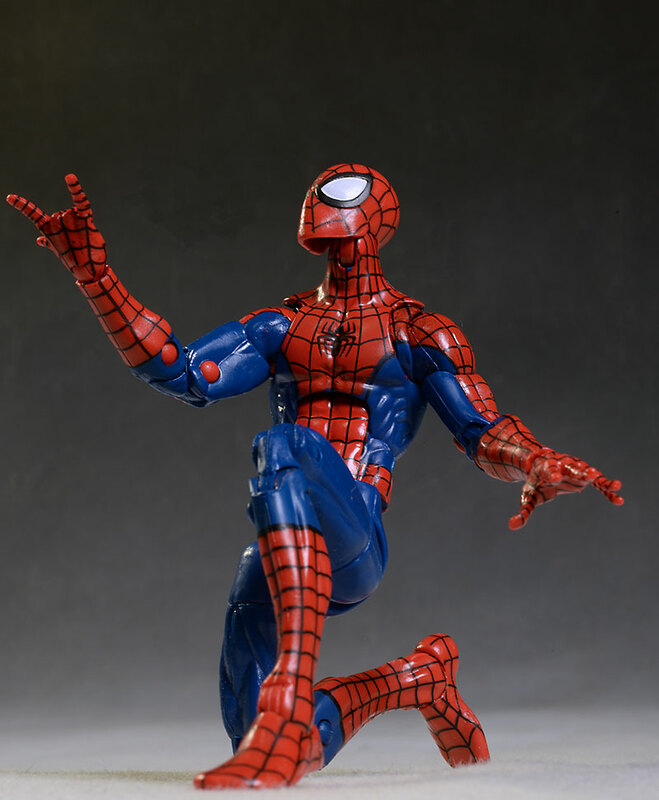 Another aspect that effects how much articulation is the right amount of articulation is the actual character - I don't need 24 points of amazing engineering with Homer Simpson, but I don't want a 5 point Spider-man figure. Companies get brownie points for matching the level of articulation to the license, not just to cost or market pressure. As I said earlier, Articulation is a key category for action figures, but not statues, busts or other similar collectibles. However, if a collectible that is generally not articulated DOES have articulation, the category gets included in the review as a secondary 'special' category. Any score in a category like that is a positive, even if it's only one or two stars. Why? Because the amount of articulation might only warrant a two star score, but because it's a statue that would normally have zero, it's a positive thing Overall. Confused yet? 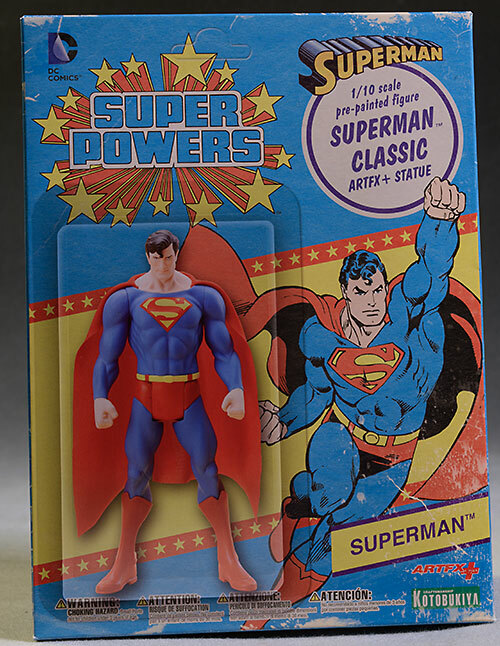 Again, a key category for action figures, not for busts, statues, prop replicas, or other collectibles. As a kid, I grew up playing with G.I. Joes (12", the REAL G.I. Joe), Captain Action and Marx Best of the West 12" figures. These action figures had tons of accessories and outfits, which really added to the play value. As an adult, I appreciate the addition of cool accessories, particularly considering the high price point that most toys are going for these days. Accessories can't just be any old thing, though. The most critical aspect is that they should make sense - they should fit with the character, their background, and preferably be things that character has actually used at some point. Personally, I love episode or film specific accessories, because they show that the company has taken the time to really get to know the license, and understands what makes it tick. But I can live with more generic or unique ideas, as long as they're sensible. Figures should also be able use, hold or otherwise interact with the accessories. Lots of stuff is nice, but if the closest it can come to being used with the figure is placed on the ground at their feet, it's not particularly exciting. Figures will also get extra points in this category for creative, imaginative accessories, but they'll lose points for too much reuse. Remember what I said about Articulation and collectibles like statues and busts? The same thing applies with Accessories. With action figures there is an expectation of accessories, so a low score here creates a negative effect on the Overall. But if a statue has accessories - swappable hands or heads for example - even a ** score will have a big positive effect on the Overall. Later on I'll discuss 'straws' and 'deal makers', and something like Accessories with a statue is a perfect example. While the World of Springfield line had issues with accessory re-use, you always got some very cool episode specific goodies. These came with Gil. 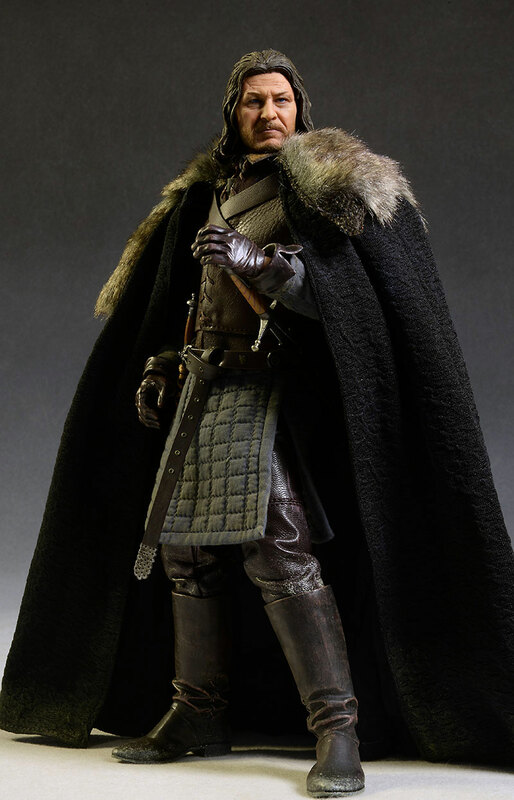 With many figures (and even some busts and statues), action features are very popular. 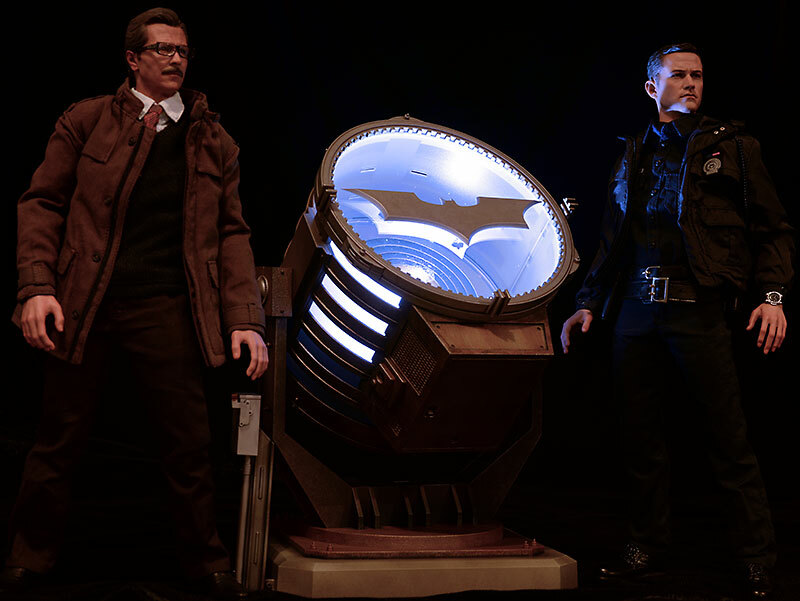 It's usually either a sound or light feature, sometimes both, but companies do occasionally add movement features to their collectible action figures as well. This is a secondary category, albeit a pretty important one. Rarely does a feature like this create ambivalence for me - I either really like it, or I really dislike it. And it's almost always about the design. Does it get in the way of other critical aspects, like Sculpt or Articulation? Does it make sense with the character? Are any switches or battery compartments easy to get to, and are they done in a way that's aesthetically pleasing? If you can't do that, then you're better off avoiding the feature altogether. 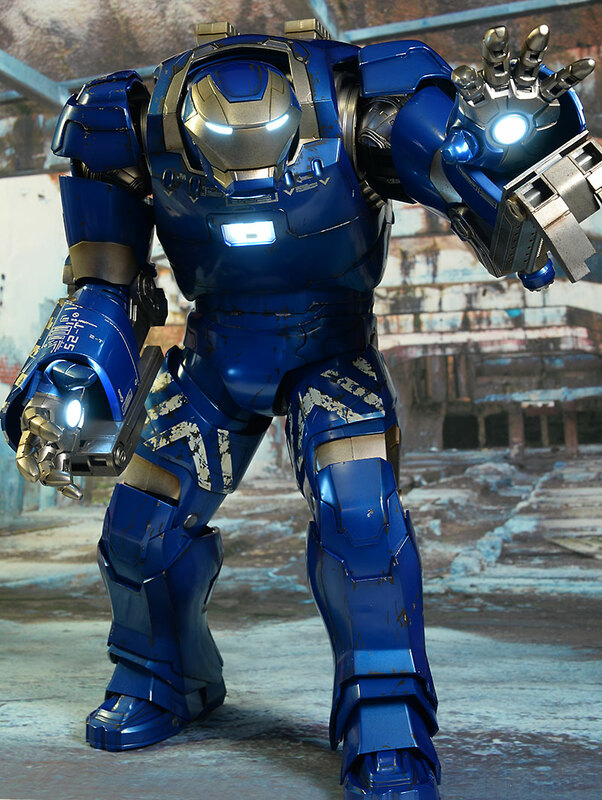 If you're gong to do any Iron Man suit, it better light up! 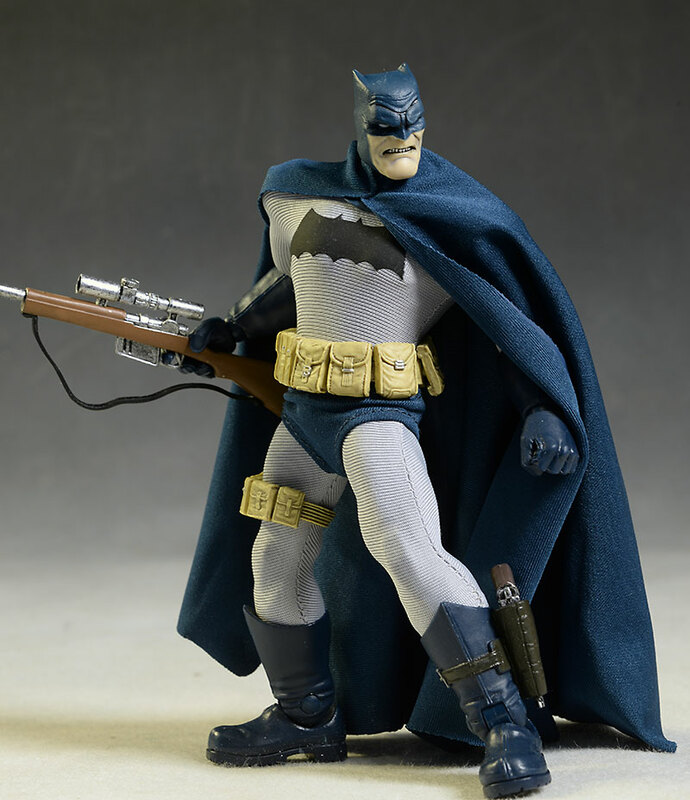 Obviously this is a key category for sixth scale action figures where the quality of the clothing is critical. It's can be an important category in other scales as well, as smaller and larger figures are using more soft goods to create a realistic look. Even some statues make use of cloth costumes, using mixed media to get the best overall representation. Just like a fine suit on an overpaid CFO, the quality of material and the quality of the tailoring are critical issues. 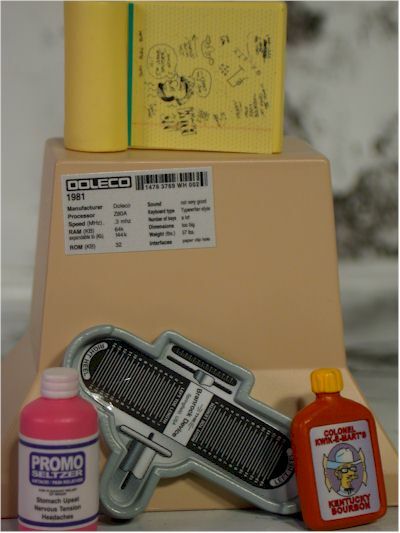 Stitching should be well done and tight, and there should be little or no chance of fraying of the material over time. The costume should fit the body correctly, and not be baggy or tight in inappropriate spots. The outfit should look realistic, and the look of chosen materials should mirror reality whenever possible. Buttons, zippers, studs, buckles, and other accoutrements should be properly scaled and made from high quality material. If they work, even better. In fact, anything that should work in real life (zippers, belt buckles, pockets) should work as close to reality as they can. If other closures are used, they need to be as unobtrusive as possible. Snaps are preferred to Velcro, but Velcro can work if it is extremely thin and well stitched. If snaps are used, they have to be high quality, preferably metal, to avoid breakage on repeated use. 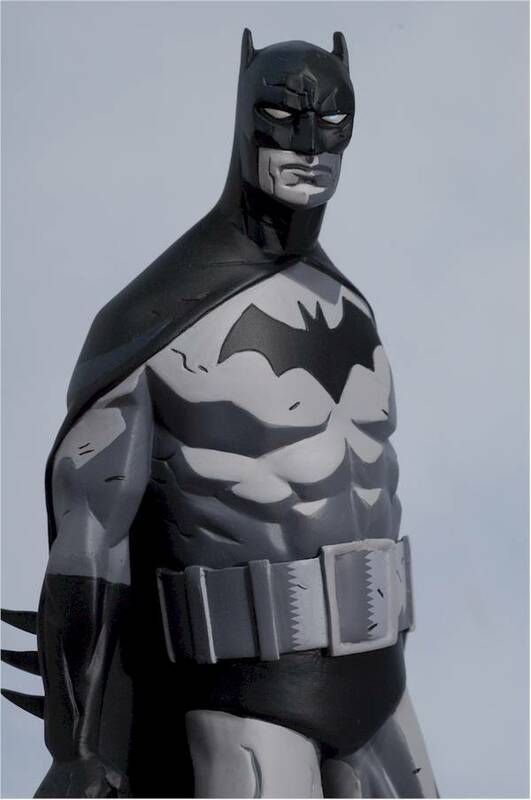 Let's not forget that the costume needs to accurately portray the source material, just like the sculpt and paint. It might be a great looking outfit, but if the character never wore it, or it's in some bizarre color, this category is going to take a major hit. Speaking of looks, it's important to note that I care much more about how a costume piece looks, over whether it's made from an accurate material. If you can make sculpted rubber boots look exactly like leather, and get them in scale with decent ankle articulation at a cheaper price, you'll get better marks from me than if you made them from leather but sacrificed scale and ankle articulation in the process. Real success in small scale costuming rarely comes simply from taking the original outfit and making it from the exact same materials, only smaller. It requires creativity and innovation to find materials that best fit scale, aren't prohibitively expensive, and still look the part convincingly. Ned is dressed to kill! "I only use this category on occasion, largely for statues and busts. The idea here is pretty simple - you might have a great looking sculpt in terms of character accuracy, small detail work, texturing, etc, but the selected pose and style is poorly conceived. To be able to call these things out separately, I add this category where appropriate. While the general concepts of sculpt are pretty specific, there's still some 'art' to it. 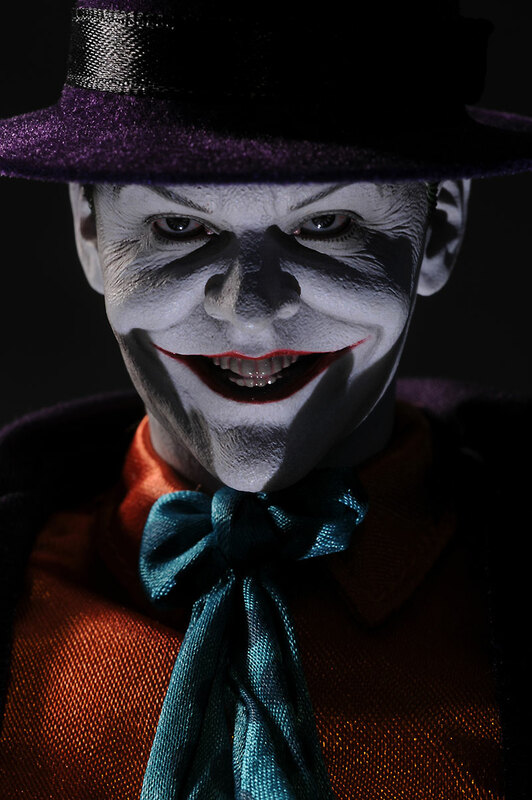 For example, the choice of expression on a sixth scale figure can hurt its sculpt score, but this can be a very personal opinion. Still, the Sculpt category is fairly fact driven. Design is not. It is truly a personal feel for the artistic aspect of the statue or bust, and how accurately the design choice communicates the personality and emotions of the character." To get the perfect match to the source material takes a skilled Design. This category is a bit of a chameleon. You might assume it only comes into play with action figures, play sets or vehicles, where they are clearly intended as toys OR where they might be collectibles but they are based on the general concept of toys. Sometimes, action figures that are intended as toys do poorly here - in fact, that happens more often than it certainly should. Other times, there's a figure that's theoretically a 'collector' figure, but it has remained true to its roots, keeping alive the concept of play. However, I also take into considering the idea of 'fun' as an adult collector. While a $300 action figure is never going to end up in the sand box, it will still do well here if it has the potential for a collector to have a great time posing it in his display, and coming up with new and interesting poses and looks over time. It's all about the pose and re-pose, baby. Clearly, Articulation and Accessories can have a big effect here, but rather than consider them independently, this category considers how well they work in concert. I also look at how sturdy clothing, plastics and joints are, and how much frustration - or lack thereof - there is when handling and posing the collectible. If there are 'action features', are they sensible or silly? Adding a stupid action feature can actually hurt the score I give a figure here if it's done poorly, creating frustration for the user. 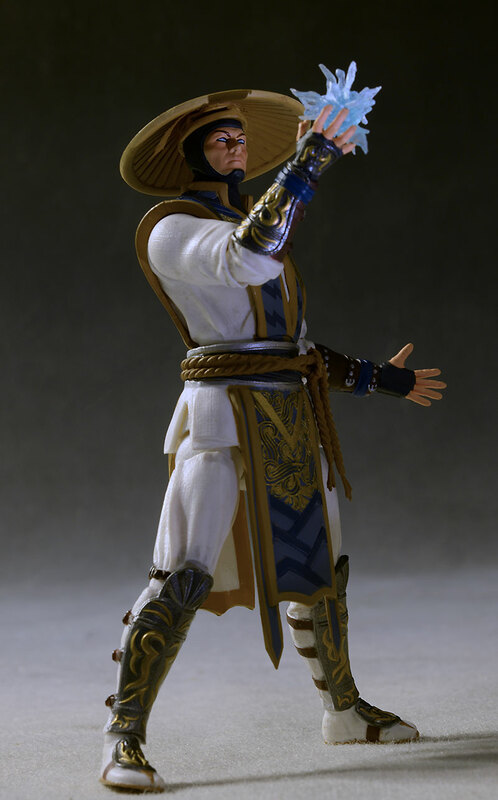 Mezco's Mortal Kombat line is a perfect example of a collectible that's also a fantastic toy. Value is a secondary category, like Packaging, but with more weight. Again, getting an average rating here doesn't effect the Overall at all. If an item scores a **1/2 or *** rating, there will be no appreciable effect on the Overall score, because you're getting pretty much what you're paying for. However, as the Value rating goes above the average, the effect on Overall will be positive. Obviously the reverse is also true. Of all the categories I include and discuss in every review, none generates as much discussion as Value. While price is an easily quantifiable subject, value is not. Value is based on whether YOU feel you got more or less than what you should have, based on the price and your personal feelings on other aspects of the object. Different people include different aspects, and therefore end up with very different results. My value ratings are based on as many objective factors as possible. I consider the cost of the license, the size of the run, the quality of the materials, and other factors that will influence the cost to manufacture. I consider similar products on the market, and how well the particular item stacks up against them. But in the end, this will always remain the most generally subjective - and controversial - category. Although Value is a secondary category, like Packaging, it still carries more weight than Packaging does. In other words, a bad package is still only going to have a very minor effect on my Overall. A bad value with a similar poor rating will have a much greater effect. Even expensive figures can be a good value. This isn't a review category, but rather a section I added to highlight any issues that could cause problems with breakage, or aspects of the collectible that might require special care. While I might mention something here or there within the context of the other categories, this gives me one place to summarize any buyer controllable issues. So where does the Overall come from? Clearly, it starts with a combination of all the individual categories. In my mind, each category carries a particular importance with that particular review, and they exert an effect on the overall based on that. This weighting and averaging in my head is why it's so rare for a figure to end up with a truly awful score in the Overall category (less than ** stars) or a perfect score (**** stars). Think of it this way - if you had seven or eight tests in a class, you'd have to do pretty damn bad on every one of them to get less than a C overall grade in the class. Alternately, you'd have to pretty much smoke 'em to get a perfect A. There's some other factors that play into it, things that are either not included in particular categories, or are simply 'Wow' (or 'Ugh') factors. These more emotional, personal impressions can alter a score up or down. I try to make it clear when they have a major effect, but you should try to always be aware of them, even in your own critical reviews. One last thing to consider is deal breakers and makers, as well as 'straws'. Both of these ideas can create a situation where the Overall is either higher or lower than you might expect from the majority of the individual categories. Let's start with deal makers and breakers. There are times when a reviewed product can get 6 or 7 similar scores (high or low), and perhaps only one score that is outside that general range. For example, let's say a figure gets a *** score in all but one category, and in that category it gets ****. And yet, in the Overall the figure pulls a ***1/2 or even a **** - how can that be possible! That would be caused by a deal maker. While there's no way any one category could be weighted with such importance that it could pull the overall impression up that far, whatever that particular feature was, it was so amazing, so outstanding, so unique, so creative, that it made the figure that much better overall. Deal breakers work in the exact opposite way, pulling down the overall by being so mind blowingly bad that while it might be only one aspect of one category, it's a score killer. Then there are 'straws'. Those things that break the proverbial camel's back. This time, a figure won't have an outlier category score, but rather all the scores seem pretty equivalent. But the final Overall ends up above or below the range - how? That would be the straws, the little things that add up. There might one or two minor issues with the sculpt that results in a *** grade there...one or two in paint, articulation, accessories, fun factor, value that does the same. But while these things are minor in the singular context of one category, adding them all up creates a bigger overall effect. Again, this goes both ways - straws can improve an Overall score, or they can hurt it. Remember when I mentioned Articulation and Accessory scores with something like a statue? Those would be great examples of positive straws or potential deal makers. So there you have it - a look inside my mind (scary!) and the process behind the reviews. Hopefully this will give you a better insight into why my Overall score is very different from yours, and how I came up with it. We won't always agree, but if we understand each other, we are much better able to communicate. Feel free to send along your own thoughts and comments, and as always, thanks for reading! When it all comes together - sculpt, paint, articulation, accessories, fun factor, etc - you get a four star collectible!